We know you have been working so hard to design and create a concept for your custom board game. Take a breather and let us bring your game to life! RPG is rapidly growing and we are here to meet your needs. We manufacture for some of the top players in the custom card game industry! Our mission is to bring your Custom Board Game or Custom Opoly Game to life! We have an entire fundraising program set in place to help you make the most money possible. Our program will help you along the journey of creating the perfect custom opoly game for your town or organization. 521 Promo will work with you to make sure all of the artwork is of high quality, proofed and managed in a timely manner. 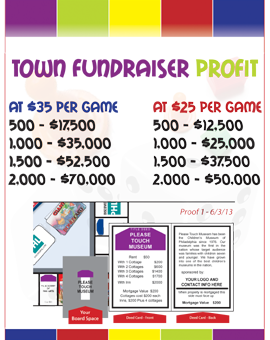 If you are looking to make some serious profit and have FUN doing so, please check out our Town Fundraiser section. BOARD GAMES MIN. ONLY 250 GAMES! We now officially have the lowest min. bulk order for Custom Board Games in the US. With such a low min. order we allow the customer to create the game of their dreams without breaking the bank. This is also helpful for play testing and PR testing before a larger order is placed. We try to be your one stop shop for all gaming needs. We have Custom Dice that range in shapes, sizes and all kinds of colors. We can imprint and engrave our dice. Please visit our dice section for more information on what can be done! Looking to create a single game for your family? You've come to the right place. You can use our online game builder to design the perfect gift for any occasion. Card games are roaring right now. So many new designers, creators and amazing games are coming out now more than ever! Fun is the very reason we love to do what we do and these Custom Card Games definitely provide more than enough fun. 521 Promo has been in the board game industry for 10 years plus. We are here to help you make your dreams a reality. We assist from concept to completion. We can design and manufacture the perfect product for your needs. We have several products that we specialize in including but not limited to, custom board games, custom dice, custom opoly games and custom card games. Our card games range from galactic battles to super hero's to cute dolls and much more. We have had the pleasure of working with some great companies like Wyrd Miniatures, NSB Games, Black Tea Studio's, Sunshine Games and several others. We hope to keep flourishing in the card game arena and hope to be the main manufacture of these games for designers to come. LOOKING FOR JUST ONE GAME? We can do that too! We are the only company in the US that can produce a single complete custom opoly game. The custom opoly games come standard with a custom box top, box bottom, board, tray insert, deed cards, game cards, condos & mansions, 2 dice, custom money and shrink wrap. We have full templates available for all of our custom games. 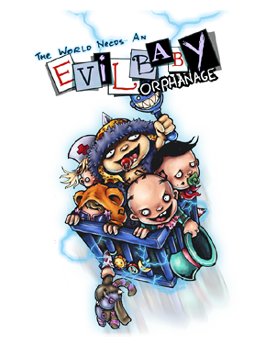 We also have an in house art department as well as several freelance artists to help assist in any level of design needed. We can not however use any imagery, text or design factors from the game Monopoly®. We are not associated with Hasbro and are not able to produce a Custom Monopoly® Game, but we will be sure to satisfy you with our professional quality property trading games. We are widely known as "The Opoly People". If you are looking to create a Town Fundraiser or corporate gift/giveaway or your own family opoly we can help. We specialize in all types of custom board games. Contact us with your specs and we can start creating your game today. We manufacture for several kickstarter clients. We are with you from the beginning supplying speedy quotes while you are creating your rewards in order to have a more successful campaign. We have teamed up with a great fulfillment center and a board game distributor to help in the process of selling and housing your games once they are manufactured. Contact us for more information.